1987, January. "New Equipment". Laramie Boomerang. Beginning with the Journal of Applied Business Research over 30 years ago, The Clute Institute has become known for publishing quality research for the benefit of the global academic community. We also sponsor conferences annually that provide a platform for researchers and faculty to present their research and receive valuable feedback. We believe in the importance of education for society and the need to facilitate knowledge on a global scale. Our journals and conferences provide this opportunity for professors, researchers, administrators and members of the business community. Through their work, global change and progress is made. 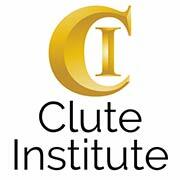 The Clute Institute joined the academic community in 1985, and has been promoting quality research ever since. It started when the founder Ronald Clute Ph.D. launched the Journal of Applied Business Research (JABR) while teaching at Loyola University in Chicago. In the fall of 1985, Dr. Clute moved from Loyola University to the University of Wyoming. In early 1987, he received a grant from Apple Computer Company to facilitate the publication of the JABR (see photos above). The Institute moved to Denver in 1988 when Dr. Clute began teaching at Metropolitan State University of Denver. He continued to pursue his goal of funding and publishing academic research. In 1999, he decided to retire from teaching and devote his full time to the Institute, which lead to the first academic conference in Denver. The Clute Institute has grown significantly since then and we now sponsor multiple business, education, technology and science conferences per year. Originally focusing on business related topics, we expanded and published our first education journal, Journal of College Teaching & Learning in 2004. In 2012, we expanded our journal program into the sciences, the first being Journal of International Energy Policy. Today, we have nineteen academic journals spanning the areas of business, education and science related topics. In July of 2011, the Institute made the critical decision to move all of our journals from subscription based to open access. Supporting the open access movement was more important than the revenue we received from journal subscriptions. Today, our published material has been downloaded millions of times from scholars around the world. In mid-April 2017 Dr. Clute unexpectedly passed away, leaving the Institute to be directed by Dr. Clute’s wife and co-founder, Diane Pielat-Clute. She is an experienced classroom teacher, holding a Bachelor’s in Education and a Master’s in Special Education from DePaul University in Chicago, Illinois. Diane is the co-founder and current director of The Clute Institute. She is an experienced classroom teacher, holding a Bachelor’s in Education and a Master’s in Special Education from DePaul University in Chicago, Illinois. Dr. Clute was the founding director of The Clute Institute. He held a Bachelor’s in Accounting from the California State University at Northridge, a Master’s in Economics with a public finance concentration from the California State University at Long Beach, and a Doctor of Philosophy in Economics with a public finance concentration from the University of Notre Dame. He published 33 academic research articles during his 25 years of teaching. He taught at the University of Illinois at Chicago, Loyola University of Chicago, University of Wyoming, and Metropolitan State University of Denver, before retiring to devote his full attention to the Institute in 1999. In mid-April 2017 Dr. Clute unexpectedly passed away, leaving his beloved wife, Diane, and their four children. We are dedicated to providing services that enhance and promote knowledge for the betterment of the academic community. We firmly believe in the benefits of information exchange laterally between disciplines. Providing a platform for educators and researchers from different fields to connect generates more ideas and is advantageous to society as a whole. The Clute Institute is firmly committed to pursuing responsible business practices for the benefit of our authors, employees, the wider academic community in which we operate, and the environment in which we all live. Since our founding over a quarter century ago, we’ve been firmly committed to the greater good of all of our stakeholders. Each month we donate a portion of our profits to causes in our local community. Recipients include the Denver Rescue Mission (a non-profit dedicated to the needs of the homeless in the Denver metro area), Shriners Hospitals For Children and St Jude’s Children’s Hospital (both dedicated to the care of children). We strive relentlessly to provide our authors with the best conference experience and journal publication services available, while keeping our fees affordable. Our customers are important to us and we will evolve with their changing needs. By providing open access to all published research, we enable scholars from around the world to explore content without restriction. We firmly believe access to knowledge is essential in today’s modern world.